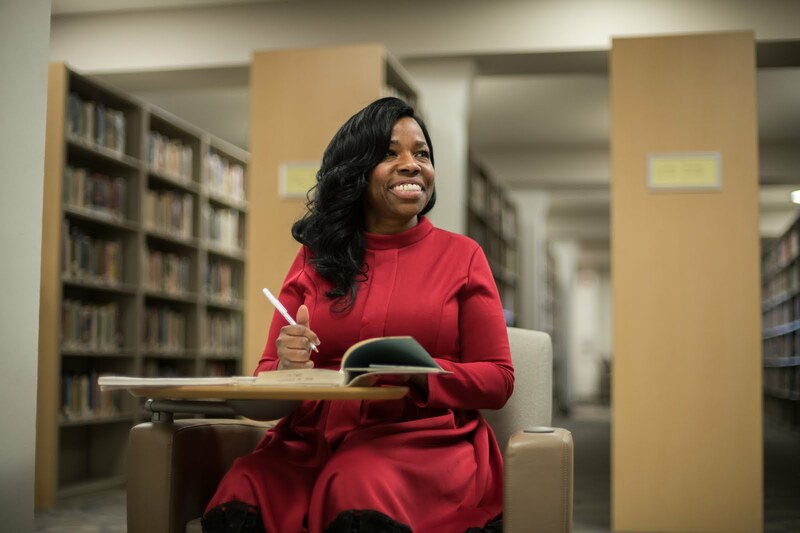 At the youthful age of 21, Myasia Williams might not be as “experienced” as many Peirce College students, but, like most students, she still carries with her many responsibilities outside of the classroom. 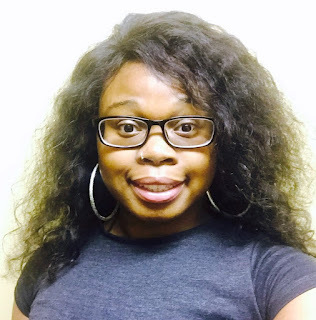 Some might think that working full-time as a Paralegal as well as being an active member of a large family might make it impossible to be a full-time college student, but to Myasia, it’s all in a day’s work. Myasia didn’t begin college immediately after her high school graduation. Instead, she needed to work for a year just to save money to be able to afford tuition. “We didn’t have much money when I was growing up, so going right to college wasn’t an option. I had to work to save money to be able to afford my first year,” she says. While she was considering what she wanted to study, one thing that stuck out to Myasia was her love to argue and debate, and as she says, oftentimes coming out on the winning end of those debates. She started to look into Legal Studies and Paralegal Studies programs, and found a home at Manor College in Jenkintown, just north of Philadelphia. When she’s not working at Sabatina and Associates, spending time with her family, or at Peirce College in the evening for class, Myasia loves to exercise, cook and eat, and explore Philadelphia. She wishes she had more free time, but she knows that a bright future (with more leisure time) awaits her after she completes not only her bachelor’s degree, but her master’s degree as well! Peirce College salutes Manor College on providing a fantastic educational foundation for Myasia, and wishes her the best of luck in all of her future endeavors! At Peirce College, our Paralegal Studies program offers students the opportunity to build a solid career as a legal professional. From a certificate to an associate to a bachelor’s degree, Peirce offers it all. This month we are featuring (and applauding) the Paralegal Studies program. Peirce’s Paralegal Studies program allows students and alumni to stand out above the rest! Peirce’s paralegal studies bachelor’s degree is the only American Bar Association (ABA) approved program of its kind in the Philadelphia region. During their time with Peirce, students prepare for careers working in law firms, judicial offices, corporate legal and human resources departments, government, nonprofit organizations and more! After her five children were grown and her husband was settled into his own business, Robyn Petersen realized that it was time for her to do something for herself. Robyn immediately knew what she wanted to do – head back to school. Robyn always had the idea of earning her degree in the back of her mind and recently found the inspiration she needed. With over 11 years of Human Resource experience at TD Bank, it was time to broaden her horizons. Robyn said, “I could acquire as much experience as possible, but wanted a degree in something I was passionate about that would lend itself to multiple people and issues.” This is what motivated Robyn to attend Camden County College to complete her associate’s degree. Once Robyn started at Peirce, she immediately felt the support. Right away, Robyn said she was included in the Legal Studies Student Association where she could learn and participate in various events and activities. In addition to this new organization, Robyn found support from her professors, especially Professor Cynthia Gentile, who brought an important event up to Robyn and encouraged her to attend. This event would change Robyn’s educational journey for the better: The South Jersey Legal Association’s Paralegal Education Symposium. “I learned and gained so much from this event. I recommend it to every student out there looking for a networking opportunity. I got to meet so many people and grow in my experiences just from one event,” said Robyn. In addition to the new relationships made, Robyn left the event with a goody bag in hand. When she took a look inside, she found a form for a scholarship opportunity. After giving it some thought, she applied and, to her surprise, she WON! Robyn is now the proud recipient of the 2018 Paralegal Educational Scholarship. Now, a proud scholarship recipient and a dedicated student, Robyn is on the fast-track to earning her bachelor’s degree with an anticipated graduation year of 2019. Following graduation, Robyn hopes to work as a corporate paralegal, so she can combine her passion for working with people and the law. 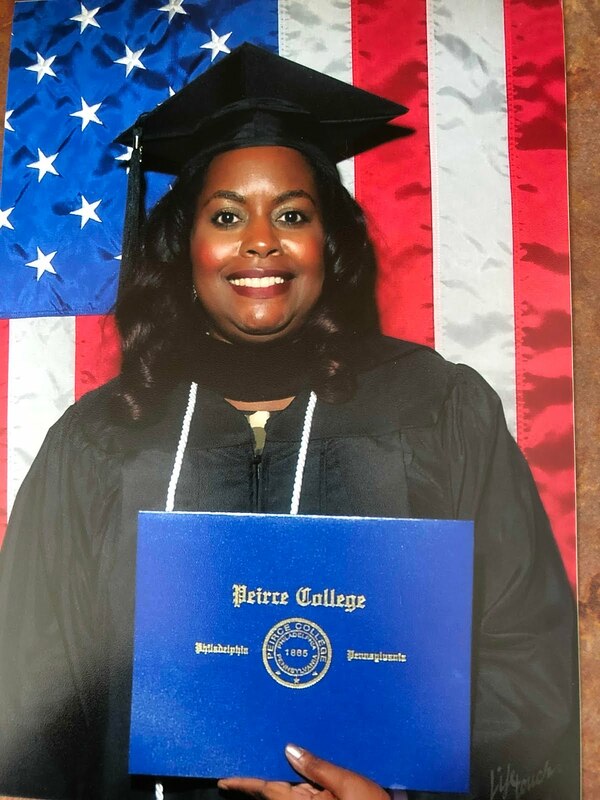 Peirce College and the Legal Studies Department are honored to serve a student like Robyn who is finally chasing her personal goals by earning her bachelor’s degree! To learn more about our Paralegal Studies program, reach out to our Admissions Team at 215.670.9000 or admissions@peirce.edu. Check back next month to see what program feature will be up next! Many years ago, a high school counselor told Wayne Vance he just didn’t have what it took to go to college. 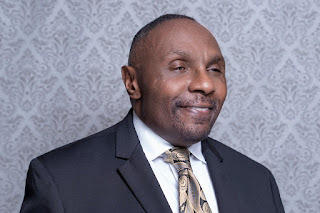 After earning two bachelor’s degrees, receiving multiple educational awards and gaining an acceptance into an MBA program – Wayne proved he not only had what it took to go to college, but he had what it took to conquer his educational dreams. Despite his successes today, Wayne’s college journey did not start out as easily as it does for some. With the high school counselor’s words circling his mind, Wayne never felt he was good enough. Luckily, this negativity did not hold him back. Wayne started focusing on his career and began to move up the ladder to a supervisor role. Then one day, it hit him. Wayne had 17 people reporting to him, 13 of which were earning their college degrees. He knew he could do it, too, but he just needed to get beyond his hesitations and fears. Once he made the leap of faith, he never went back. Starting at another institution, Wayne found he had the capability to succeed, but he hadn’t found the right fit yet. Thankfully, Wayne did find a professor who soon turned into his mentor. She recognized his strengths and his needs in order to be successful in the college environment; that’s when Wayne heard of Peirce College. “My mentor knew I needed an educational community, which was lacking at my first institution. She had colleagues who worked and spoke highly of Peirce; so she knew it was what I needed. From the Walker Center to the caring professors, Peirce had the nurturing environment I was looking for,” said Wayne. Wayne took his mentor’s advice seriously and after much discussion, Wayne found himself applying and starting at Peirce in September 2012 in the Technology Management program. After finding his niche with the accelerated classes, Wayne was able to finally complete his first bachelor’s degree in August 2016. As Wayne waited to walk across the commencement stage in June 2017, he decided to put his time to good use and started right back up in the Accounting program at Peirce. As Wayne continued to find success at Peirce with his education, he also found success with his career. In July 2016, Peirce’s Career Development Services found Wayne a way to not only keep up with his studies, but also gain real-world experience. The accounts payable department was looking for a work study and CDS knew just who to call. Wayne started and immediately found interest and importance in this field of work. After just a few months of dedication, Wayne was asked to move from work study to a part-time employee where he currently resides today as an Accounts Payable Representative. As of this month, June 2018, Wayne has certainly exceeded all expectations. He not only received his second degree – Bachelor of Science in Accounting, but he also was awarded the Alumni Association Raymond L. Palzer ’52 Academic Leadership Award at the 153rd Commencement Ceremony. Peirce is honored to not only have Wayne as one of our Peirce alumni community members, but also as a staff member who contributes daily to the work and mission of the College. After over 20 years in the healthcare industry, Tara Broadie felt knowledgeable and experienced enough to continue tackling her career without a glitch. But one day, she had an epiphany. 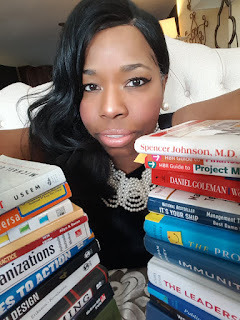 Tara started interviewing and hiring team members who had master’s degrees and, at this point in her life, Tara only held a few medical coding certifications. This is when she knew it was time to head back to school. Tara started her Peirce journey in May 2015 by chasing her Associate in Science in Health Information Technology (HIT). As of June 2017, Tara was proudly taking her first walk across the commencement stage. But she wasn’t done yet. After gaining growth in her career, she found a management position that was exactly what she had been looking for, but there was one catch, “I qualified for the supervisor role with my associate degree, but I knew I was overqualified and I really wanted the managerial position offered. But, in order to obtain my dream career, I needed my bachelor’s degree,” said Tara. Tara is now the Coding Manager for the Emergency Department, Outpatient Surgery and Observation at Johns Hopkins Health System. Not only has Tara successfully completed two degrees and landed her dream position, but she also was the first at Peirce College to sit and successfully pass the RHIA exam. Additionally, Tara was awarded the Alumni Association Raymond L. Palzer ’52 Academic Leadership Award at the 153rd Commencement Ceremony. Congratulations to Tara on her recent graduation and new job! We wish her nothing but success as she continues not only achieving her own dreams, but encouraging the next round of healthcare industry professionals to chase theirs. The Convenience of the Peirce at Deliverance Partnership Was Everything Frances Needed! After two associate degrees, Frances thought her educational journey had come to a close. She always knew she wanted a higher degree, but didn’t think a bachelor’s was in her future. Then one day, Celeste Atkins, Coordinator for Education at Deliverance Evangelist Church, told Frances about the new Peirce College at Deliverance partnership and Frances’ educational journey was back in action! When deciding on which program to take part in, Frances knew the business-focused degree of Organizational Leadership was the right path. As an aunt of three boys who own their own business and a mother of a son who is going into business as well, Frances wanted to contribute some business knowledge to the family. Frances was ready to gain more insight into the business world that she could directly take to her nephews and son. Going back to school may seem difficult as a working adult with a full schedule, but it wasn’t for Frances. She said going to school as a nontraditional student is actually better because, “I am able to sit down and apply myself now. I am not running everywhere else putting off my work as I had in the past,” explained Frances. Now, five classes into the program, Frances is on the fast track to graduation. She said after completing her bachelor’s degree, she isn’t done yet. This has inspired her to continue chasing her dreams by hopefully earning her master’s degree, as well! We congratulate Frances on all of her successes so far and wish her nothing but the best as she continues chasing all of her new degrees! If you are interested in taking part or learning more about our Peirce College at Deliverance partnership, please contact me, Tom Tschop, Manager, Institutional Enrollment, at 215.670.9203 or ttschop@peirce.edu.